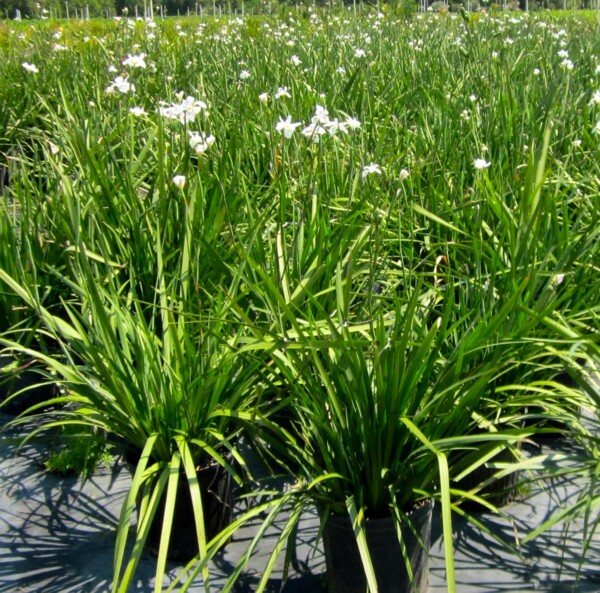 Thrives in fertile, well-drained soils, but highly adaptable. Follow a regular watering schedule during the first growing season to establish a deep, extensive root system. For a neat appearance, remove old flower stalks. 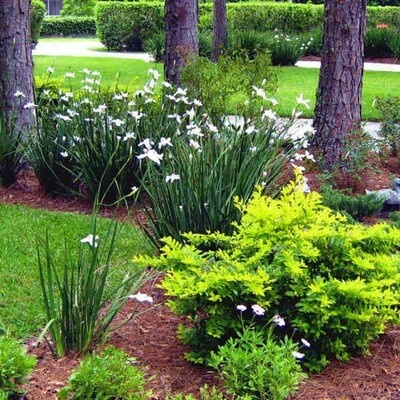 Divide clumps every 2 to 3 years in early spring. 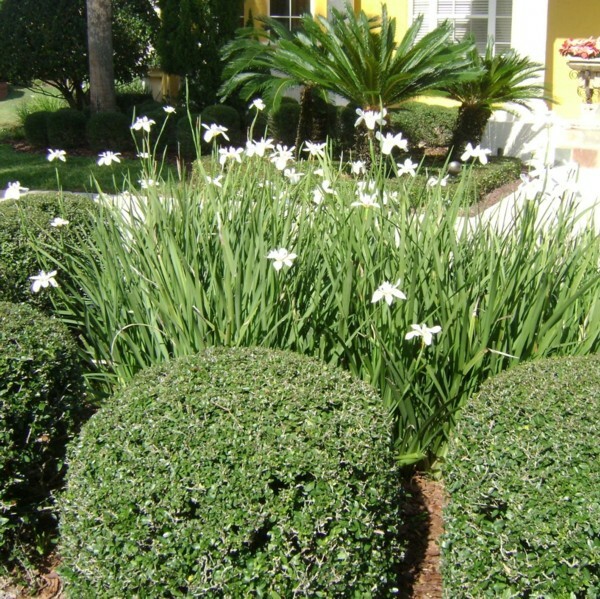 This clumping, robust perennial has stiff leaves radiating up and out in a fan-shaped pattern. The flower spikes are topped with 3-inch white flowers marked with yellow and blue. 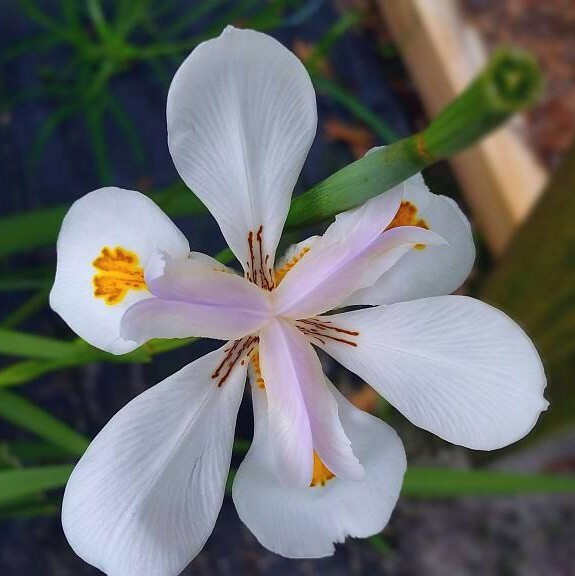 Its Exotic white flowers with yellow and purple-blue markings burst from stalks amid stiff, iris-like, evergreen foliage. Profuse bloomer; blooms last only one day but are quickly replaced, and Fire resistant. Although short-lived (about 2 days), the flowers are produced sporadically throughout the year. 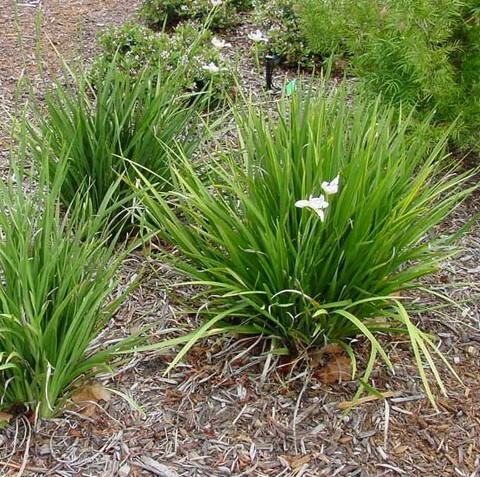 Plants grow to 4 or 5-feet-tall in standing water, making it ideal for water gardens and wet soil. They reach about 2 to 3-feet in Soil. 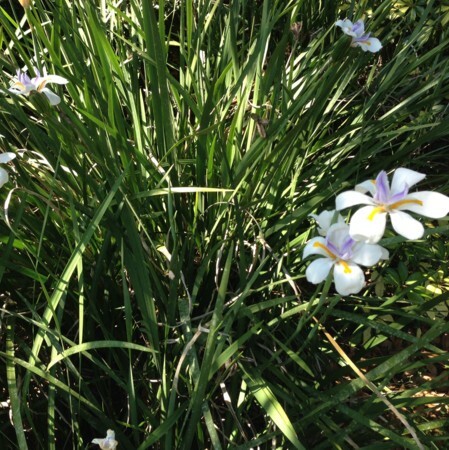 African iris is also attractive when used as an accent planted in a shorter groundcover.